The earliest settlers arrive in Ireland about 9,000 years ago. These people were hunters, gathers and fishers. At that time the landscape in Wicklow was covered in deep forests. As farming developed almost 6,000 years ago, trees were cleared from the landscape to provide grazing for livestock and to grow crops. These early farmers built large stone tombs to bury their dead. These are referred as megalithic tombs and were probably used for other religious ceremonies and rituals throughout the year. In the Wicklow, passage tombs are most commonly found which derive their name from an entrance passage that led to an internal burial chamber. These tombs are commonly found on the summits of the peaks in the west of the county and a prime example is found on Seefin Mountain. Decorated stones known as ‘rock art’ also date from this period. This art form often consisted of small hollows in large boulders known as ‘cup-marks’. The use of metal for tools and weapons began in Ireland nearly 4,500 years ago. Initially copper was used before being alloyed with tin to create bronze. Throughout the Bronze Age, the megalithic tombs were replaced with new forms of large stone tombs. These are known as wedge tombs due to their wedge shape appearance. These tombs are normally found on hillsides rather than on summits. A fine example of a wedge tomb is found at Carrig, near the village of Lackan. Fulachta fiadh are mounds of burnt stone believed to have been used for cooking. The stones were first placed in a hot fire before being placed into a wooden trough full of water. The hot stones would heat the water allowing food to be cooked. Many examples of Fulachta fiadh have been found in Wicklow particularly in the east in wet marshy areas e.g. Ballyrehmon Commons near Roundwood. 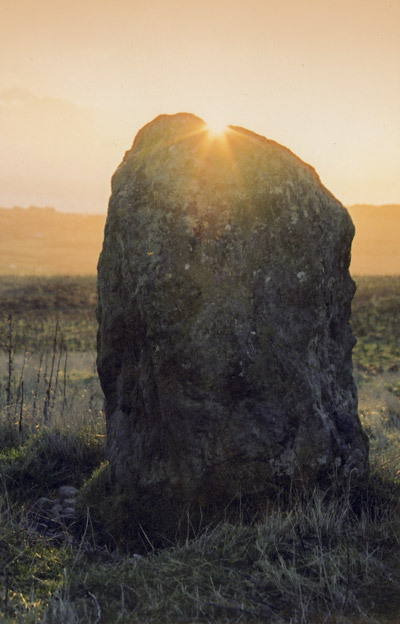 Throughout the Bronze Age standing stones were placed in the landscape. The purpose of the stones remains a mystery. It has been suggested they were used to mark paths or tribal boundaries or the site of where a warrior fell. Stone Circles were also a feature of this period which again is a mystery. The Piper’s Stones near Hollywood are a fine example of a stone circle. This information is extracted from An Introduction to the Archaeology of County Wicklow. Heritage Office, Wicklow County Council. More information on Heritage Data in the Wicklow/ Dublin uplands can be found using the new Heritage Maps viewer. This is a web-based spatial data viewer which focuses on the built, cultural and natural heritage around Ireland and off shore. The project is co-ordinated by the Heritage Council, working with the Local Authority Heritage Officer network.